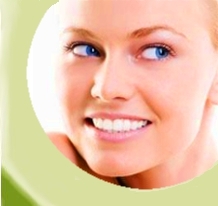 We would like to welcome you to the website of Dr. Horváth and Dr. Tornyai dental practice. We offer high quality service in a modern and friendly environment. Our highly skilled and experienced dentists and dental nurses use the latest technology and most modern equipment in order to remedy all kinds of dental problems so that you can smile with confidence. Our dental practice was established in 1996. It is located in Bük-Fürdő, a holiday village in Western Hungary, famous for its medical spa and 18-hole-championship-golf-course. Right next to the Austrian border it is about an hour’s drive from Vienna, Graz as well as from Bratislava international airports. We are glad to offer free transportation to our patients from these locations. We provide all around dental care including dental implantology, computer assisted navigational implantology, oral surgery, paradontology, tooth restorations by fillings, crowns, bridges and dentures of high quality both in function and aesthetics. We use the latest equipment and techniques for painless root canal treatments, teeth whitening, orthodontics and smile makeovers. Our professional dental hygienists will help to preserve the health of your teeth and improve the look of your smile. To support the work of our dentists we possess today’s most modern high-tech diagnostic appliances from digital X-ray equipment to the latest 3D dental computer tomography. The skills and experience of our dentists, the latest technology and the excellent quality of the materials used alongside with an ingenious dental technician team enable us to offer a warranty of 7 years for any tooth replacement treatment and 4 years for fillings. To find more details on our dental practice, our town and its leisure facilities please browse through our website. If you have any questions do not hesitate to contact us. You may also book an appointment straight away online!